Welcome to the first Electric Shadows Annual Top 10. We’ve seen hundreds of films this year. Dismissed those unworthy – yes, we’re particularly looking at you Diana, The Big Wedding, To The Wonder and Olympus Has Fallen. Salute those worthy of attention and worth an evening of your time – Cloud Atlas, Mud, Lincoln, The Look of Love. And present here the ten films we thought were the must-sees, the standouts, the cream of the silver screen in 2013. 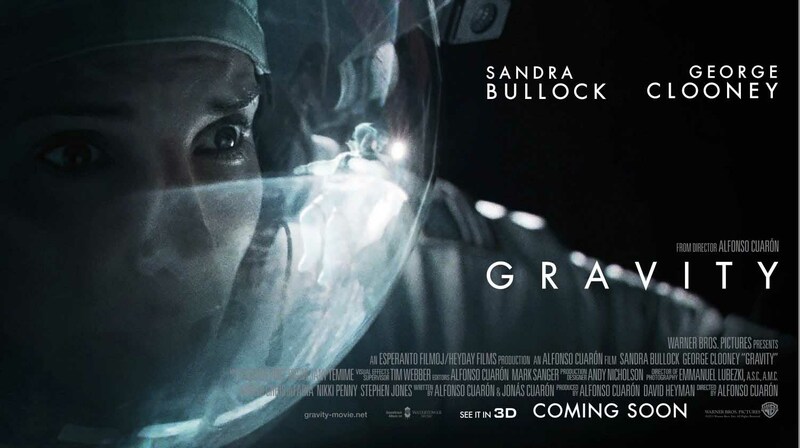 The lowdown: Sandra Bullock and George Clooney are lost in space as the audience loses itself in ninety-minutes of cinematic perfection in Alfonso Cuaron’s Gravity. Action movie and disaster epic, with a dollop of existential soul-searching against a backdrop of deep space, this raises the bar of big screen spectacle as Star Wars, Jurassic Park and The Matrix did before it. Succumb to its irresistible pull. The full verdict: Seven long years have passed since Alfonso Cuaron amazed us with Children of Men. Gravity is a first class return, and like its predecessor splices high intelligence scriptwriting with high adrenalin filmmaking.